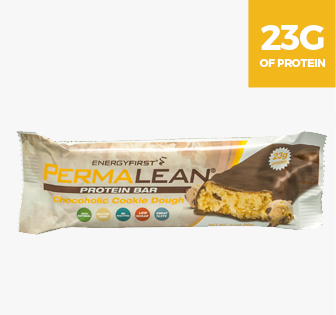 Introducing the NEW & REVAMPED, lean and clean Protein Bars that are actually good for you! Tastes like a candy bar...delicious smooth texture with no gritty after-taste. 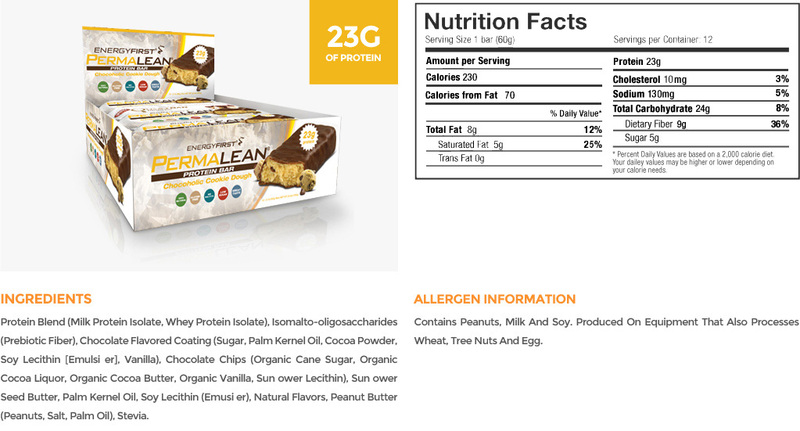 The best tasting, lowest carb, low sugar Protein Bar on the market with no preservatives, no GMO ingredients, and no hydrogenated oils. 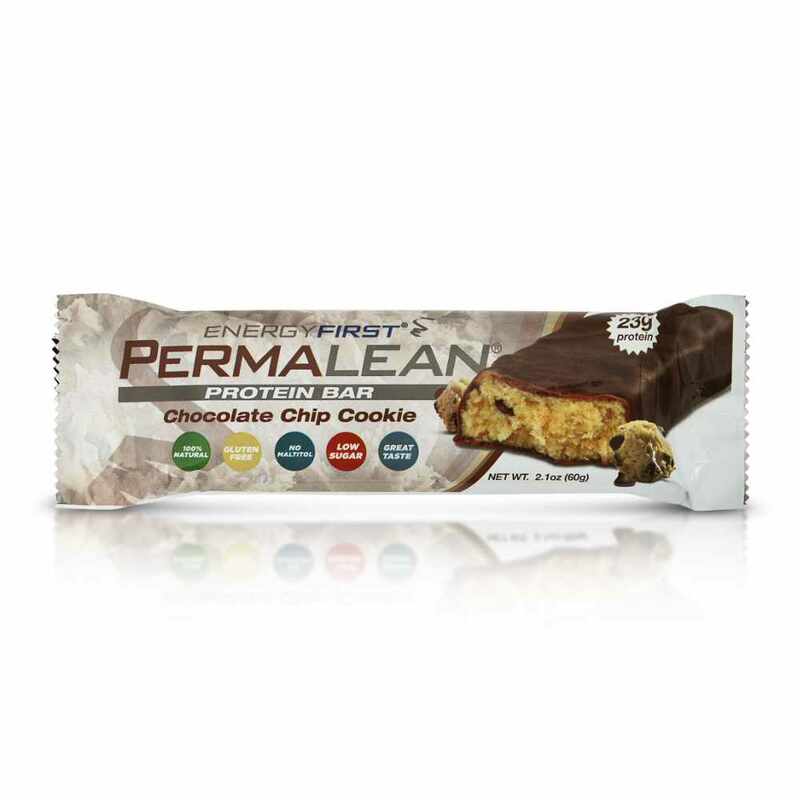 We have spent the past year building the perfect recipe for an incredible bar with the best nutritional items so you get real energy from real ingredients! and SAVE 20%! Get each for $24.99. 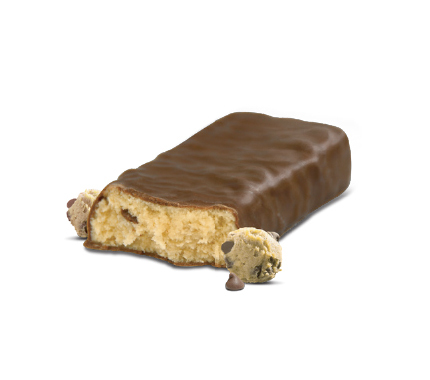 Our overwhelming customer favorite: the most scrumptious, creamy, flavorful, sweet tasting all natural cookie dough on the market smothered in our guilt-free, melt-in-your-mouth chocolate coating. 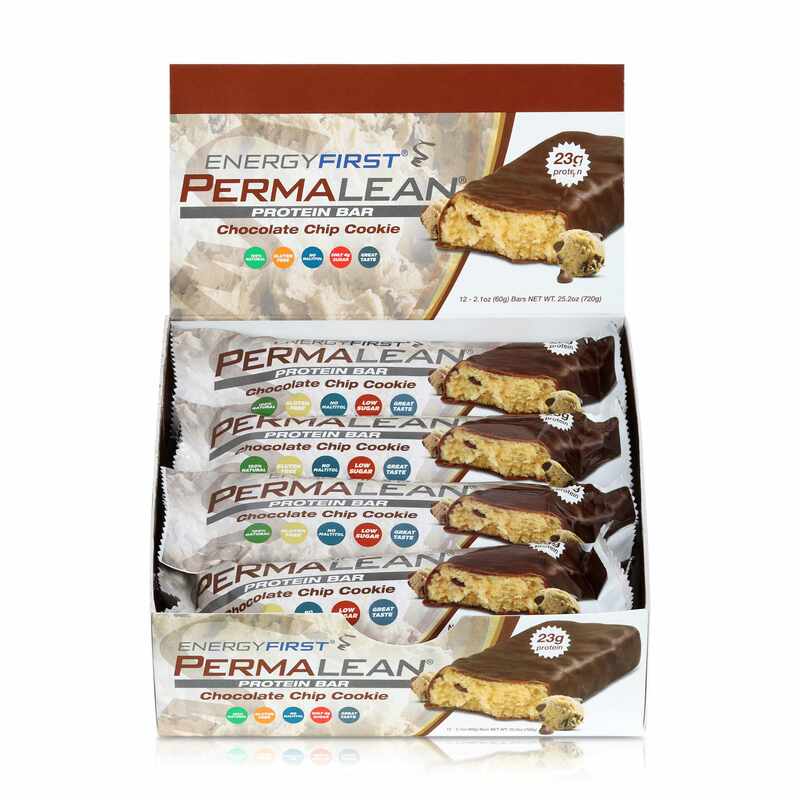 Chock-full and brimming with the most exquisite essential ingredients including real chocolate chips and peanut butter so unbelievably decadent you will think you are cheating – but Permalean is the only High Protein, Low Sugar, Low Carb Protein Bar with no preservatives, no GMO ingredients and no hydrogenated oils. 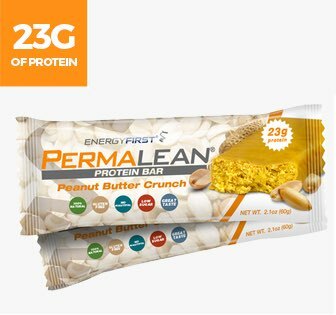 A Protein Bar should support your health goals, not spoil them. 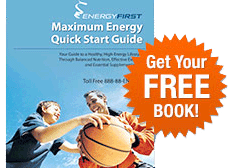 Don't "sell out" on sugary bars. 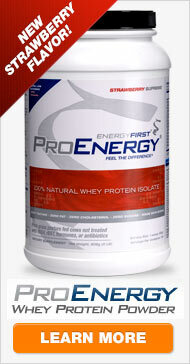 2 Delicious Flavors – Tastes like Candy Bars! 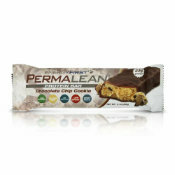 PermaPro Protein Blend (Milk Protein Isolate, Whey Protein Isolate), Isomalto-oligosaccharides (Prebiotic Fiber), Chocolate Flavored Coating (Sugar, Palm Kernel Oil, Cocoa Powder, Soy Lecithin [Emulsifier], Vanilla), Chocolate Chips (Organic Cane Sugar, Organic Cocoa Liquor, Organic Cocoa Butter, Organic Vanilla, Sunflower Lecithin), Sunflower Seed Butter, Palm Kernel Oil, Soy Lecithin (Emusifier), Natural Flavors, Stevia. 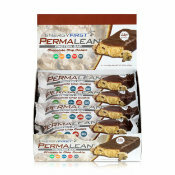 Want to know more about Permalean® Protein Bars?